Breathing Air Systems provide affordable Haskel Booster service and repairs using only genuine Haskel parts and equipment. Our trained and certified engineers will rebuild your Haskel booster including ultrasonic and oxygen cleaning. Haskel Booster solutions are available for scuba clubs and industries specialising in the use of compressed air. Most industrial gases are commonly delivered at pressures of 2,000 – 2,600 psi in steel cylinders. If the gas is to be used well below the supply pressure, the pressurized supply is easily piped and controlled to the point of use with simple valving. However, if the end use requires the gas to be used at higher pressures than the supply it will have to be boosted. 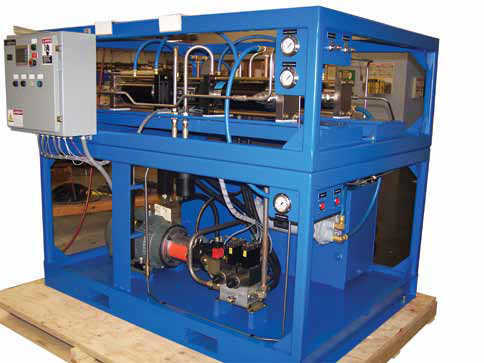 Gas Boosters can utilize all the gas from a supply source such as cylinders, and boost the gas to whatever pressures (and flows) are required by the application; thus utilizing all the gas volume from the supply source. 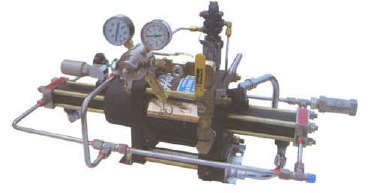 If the application requires a pressure greater than common supply cylinder pressures, a booster can often be justified not only because of utilization of the gas, but also because it will eliminate the need to purchase the gas in special higher pressure more costly supply cylinders such as 3,600 or 6,000 psi. Note: Liquefied gases (propane, CO2, nitrous oxide, halons, etc.) can be boosted as a liquid or gas in controlled applications. 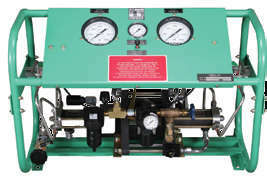 * Oxygen (O2)- maximum safe working pressure 345 bar (5000 psi). ** For these gases (10-15), the gas booster must be operated in a safe and well ventilated area and vent(s) piped to controlled environment.